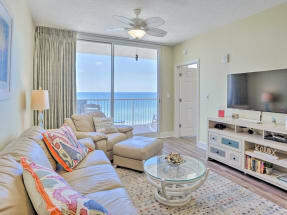 Welcome to Majestic Beach Resort Condo rentals! 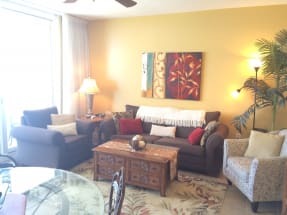 This beautiful condominium complex provides you with an amazing location and will help make this year's trip the best vacation yet! Emerald Coast by Owner is proud to offer you a number of luxurious properties throughout the complex, with a variety of benefits! When you stay at Majestic Beach Resort, you can help yourself to the luxurious pool, tennis courts, private balconies and so much more! The fun doesn't end there however, there's so much to do in the area! People love to go parasailing, deep sea fishing, paddle boarding, go on boat tours, rent jet skis, swim with dolphins, you name it! Also, be sure to check out Wonderworks and Ripley's Believe It or Not! Museum, where you can have a ton of fun! Go karts and mini golf are also very popular too! If you're going to dine out, then get ready for a night of fun with delicious seafood or traditional food, great service and drinks! A few places offering you this that we recommend are Montego Bay Seafood House, Dee's Hangout and Hammerhead Fred's! Scroll down and choose between our properties! Majestic Beach Resort is a great place for your next family vacation. Emerarld Coast By Owner puts you in direct contact with the condo owner or manager. Book your vacation to Majestic Beach Resort!